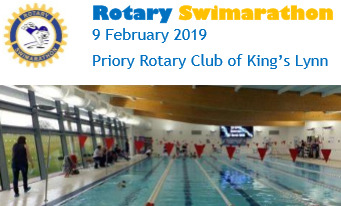 This will be the first Swimarathon organised by Priory Rotary Club. It will be based on a successful model pioneered by Grantham Rotary Club, and now run by many Rotary clubs. 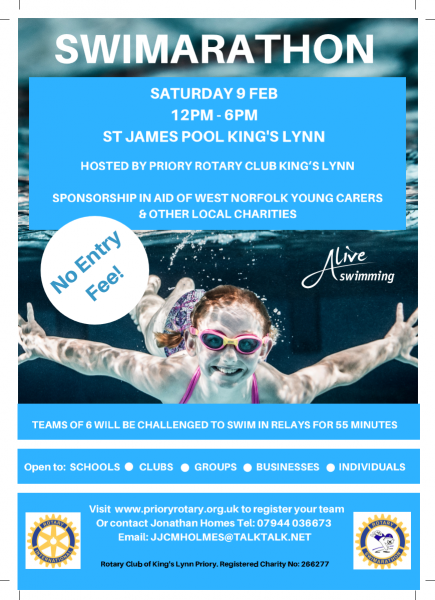 Teams of 6 swimmers are allocated 55 minutes to swim lengths of the St James Pool King's Lynn and raise money through sponsorship which will be given to local charities. All the details of the event are contained in documents which can be accessed through the following links.